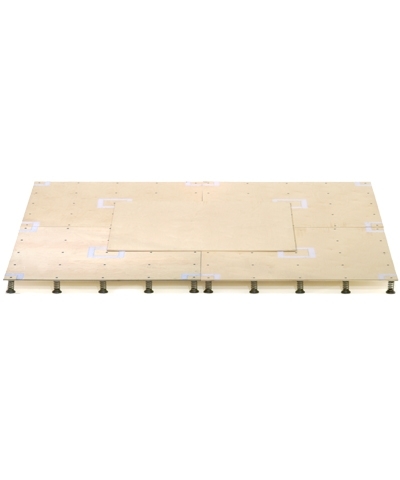 The A55 spring assembly is for replacement springs only. 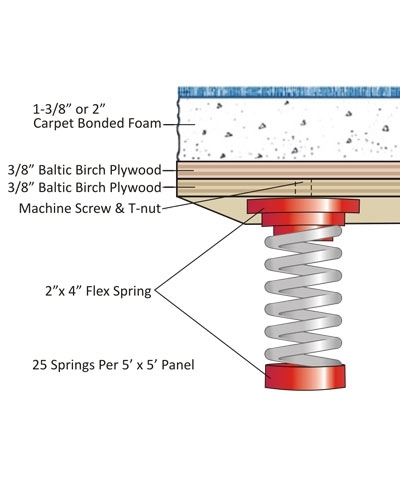 See T55 baltic birch spring kits or assembled floors for complete spring floor set up. 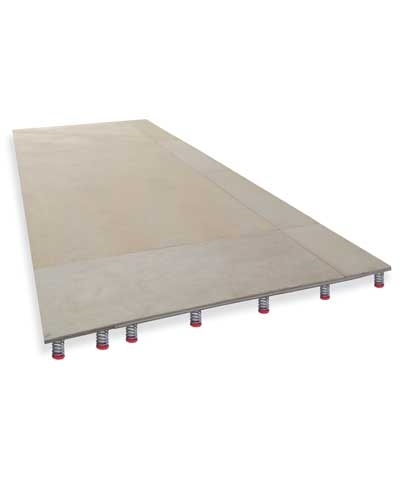 This spring assembly requires two layers of 5'x5'xx9mm (3/8") plywood and a minimum of 1-3/8" carpet bonded foam. Please use the quote button to request shipping charges.